Gallows Close Centre has been shortlisted to receive one of three community grants. We are proud to announce that Gallows Close Centre has been short listed to receive one of three community grants. Voting starts October 31, please remember when you shop at Tesco to vote for Gallows Close Centre. If we were to be awarded £12,000 this will make a huge difference to the centre and the community surrounding it. The project aims to transform the empty grassed area into a community garden, with raised garden beds and learning space. The area will be used as an outdoor extension to create a variety of activities, these may include growing vegetables, shed workshop for cycle repairs, the Men In Sheds project, wood working opportunities, outdoor games and crafts, bug club, and community events. The list is endless. The gardens will add a hugely valuable new feature to this important community that serves a wide area of Scarborough including the neighbourhoods of Barrowcliff, Newby and Northstead. 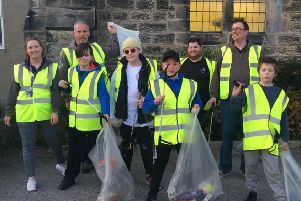 The scheme will see three community groups and projects in each of these regions awarded grants of £12,000, £10,000 and £8,000 – all raised from the 5p bag charge. The public can vote in store from October 31 to November 13. If you would like more information please visit www.facebook.com/GallowsCloseCentre, email gallowsclosecentre@gmail.com or you can contact Gallows Close Centre on 01723 378102.